Thanksgiving Day is almost here! If you plan on celebrating Thanksgiving at home in your condos for sale in Wayzata MN community, we suggest these tips for making your Thanksgiving décor stylish and fun. 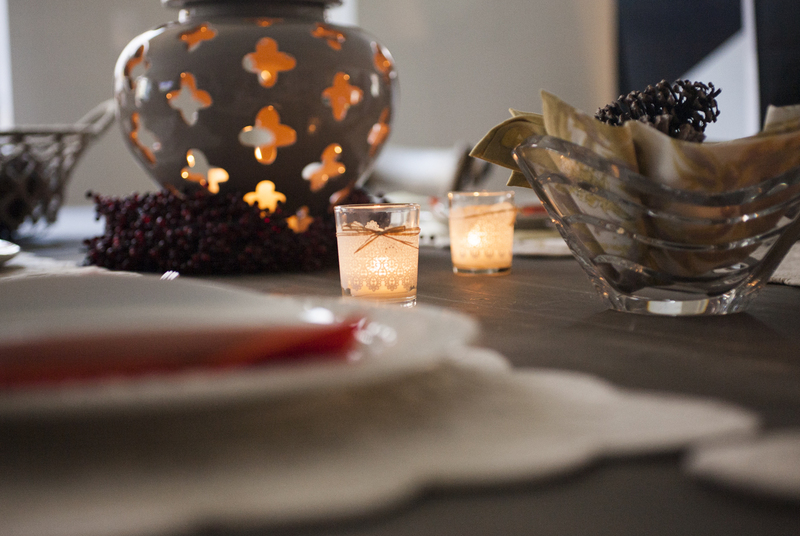 Candle centerpieces – Candles can instantly add style and grace to your Thanksgiving décor. Set out candlesticks, tea lights, pillar candles, or another type of candle to light up a coffee table, end table, or dining table. Purchase colors that exude Thanksgiving like brown, gold, orange, maroon, red, and yellow. Edible décor – Are you serving up veggies for apps this Thanksgiving? If yes, put a spin on your veggie platter this holiday. Fill glass jars or canisters with baby carrots, celery cucumbers, cherry tomatoes, thin slices of green peppers, and other appetizers you’d like to serve up for Thanksgiving. You can place the various glass canisters or jars as centerpieces or on your table for apps. Harvest inspired wreath – Hang up a harvest inspired wreath indoors. You can display falls wonderful colors, have a Thanksgiving theme, or something similar. Place on the doors throughout your condo or get a miniature one to hang from your coffee table or dining room table. White Thanksgiving – Many people dream of a white Christmas. But you can make a white Thanksgiving a reality. Set out white plates and table napkins and pair them with fancy silver or gold cutlery. Include faux white acorns, pumpkins and candles to create a classic and elegant tablescape. Table placards – Give everyone an assigned seat by setting out name placards. Tie names to mini mandarins, pears, or pumpkins. Acorns could even work well for this design tip. Plaid it out – Plaid is a fall staple. So how about dressing up your table with a plaid table cloth. This will help create a warm look on your dining table. Complement the table cloth with plates and cutlery that will make your table pop even more. We hope the above tips will accompany your delicious Thanksgiving meal with stylish and fun décor. Meyer Place at Ferndale, a luxury lakefront condos for sale in Wayzata MN community, wishes you and your family a very Happy Thanksgiving! What Should You Look for When Purchasing a Gas Grill?